Presenting the Akhiyaan Afeemi Lyrics from the album by Shobha Girdhar. This song is penned and composed by Manan Bhardwaj and sung by Shobha Girdhar. 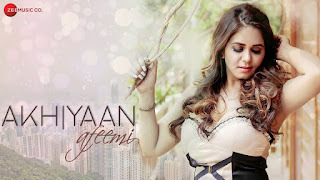 Akhiyaan Afeemi Lyrics from the single album by Shobha Girdhar has been composed by Manan Bhardwaj.